(examples: Ü, Æ, Ö, Ă). (Example: O’Toole should be entered as is but ‘Alofa should be entered as Alofa). Do not input alias names, Hanyu Pinyin or names in brackets (see examples below). 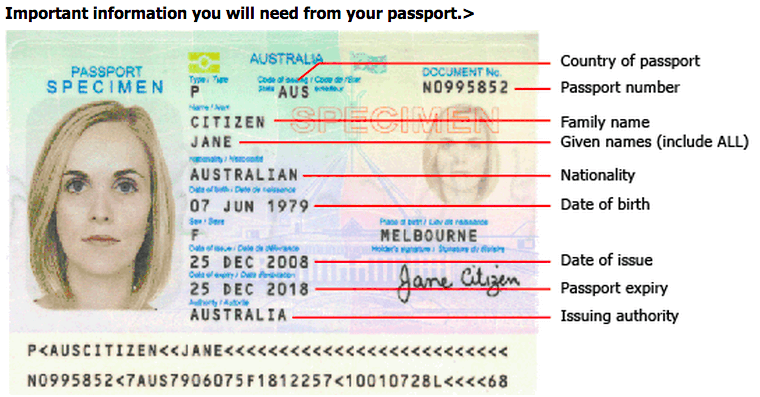 If your name in your passport has non-standard English characters in it such as Umlauts (Ü – letters with dots above them) or diacritic markings (Ó – letters with accents above them), use the English spelling of your name in the Machine Readable Zone of your passport (see example above).